The NEW School Rules hit Corwin's bestseller list this spring and now thousands of leaders around the country are reading and thinking about how to improve the way their teams and organizations function. These leaders want to improve their meetings, have better systems for decision-making, increase their team's learning rate, and better manage roles and accountabilities. But often they don't know where to start. Our new NSR Self Strengths Audit helps answer that question by providing an opportunity for leaders to gauge their current practice of The NEW School Rules. Each section of the audit includes a reflection on one core mindset and two core skills for that rule. We hope this audit will help you know which skills to focus on in developing yourself as a more responsive leader. Let us know what you find out by sharing with @6newschoolrules! 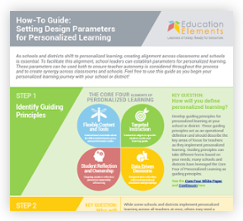 School leaders and teachers in Rochester, NH are harnessing personalized learning as a means to further their competency-based education (CBE) implementation. CBE requires students to demonstrate mastery of content and skills before moving on to the next chapter, so it is a mastery-based rather than time-based approach. We believe that by deeply implementing personalized learning, students will take ownership of their academic journey by reflecting on their academic data and be better prepared for the individualized pace of a ‘move on when ready’ classroom experience. We’ll put this theory to the test in a pilot at a local high school in the 2018-2019 school year. 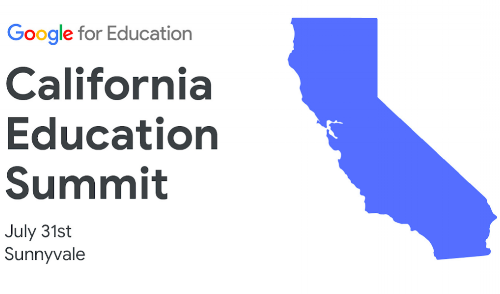 Google for Education is hosting its first ever California Education Summit on July 31st at the Google Campus in Sunnyvale to bring school districts from all over California together for a day of innovation, collaboration, and transformation. District leaders across California are welcome! Please register by July 9th. Due to space constraints, only 2 attendees from each district may attend (the intended audience is Tech/IT leaders and EdTech/Curriculum leaders). Please ensure each individual submits his/her own registration. 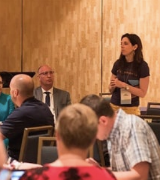 Over the past school year, we have been fortunate to work with the Temple Independent School District to lay a foundation for a district-wide shift to blended learning. 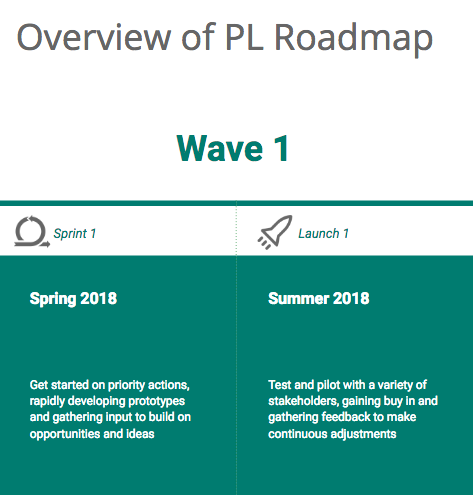 This foundation includes a project roadmap with a unique design: each school will begin the implementation with a cohort of teachers (a grade level or content area team) and add successive cohorts of teachers over the next three years. To prepare for this shift, the district has developed its own blended learning guiding principles and provided training to the school board on blended learning strategies. Teachers across the district will also be able to engage in a Discovery Phase during the 2018-2019 school year to explore blended learning. Districts come to us when they want to tackle a big organizational change, but are unsure of how exactly to approach it, who to involve, and what process to follow. Many times these leaders are seeking an external partner for various reasons - to facilitate their team’s work, to incorporate leading practices, and to share experiences from doing this all over the country. These strategic planning projects are some of our favorites because we get to flex our brains in new ways and design a custom consulting engagement! Wake County Public School System reached out last year to collaboratively design a new professional learning system for their instructional staff and 160K students, which included rethinking funding models, organizational design, processes, and evaluation metrics. Over the course of 4 months, we followed our strategic planning framework which is grounded in our design thinking approach and our belief that we are planning for change and not for perfection. Based on these priorities, we collaboratively developed a roadmap that the WCPSS team could use to guide communications, manage change, organize teams and set expectations for new professional learning experiences. The roadmap represents a set of initiatives to close gaps to achieve their future vision for professional learning - along with incorporating activities to push the envelope and innovate in the way professional learning is supported throughout the year in schools and in classrooms. Our company is known for having a unique organizational culture. We have eliminated the traditional organizational hierarchy of direct managers; we employ a self-organizing team structure; and if you attended this year’s Personalized Learning Summit, you know we also view trivia and dancing to 80’s music as valuable team-building time. Something that is not as widely known is that we also have internal monthly challenges. 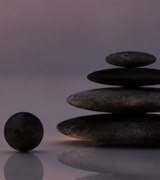 During the month of November, our CEO challenged us to meditate for five minutes every day. One of the most common questions I answer about Education Elements is, “So what do you guys do?” If we have an elevator ride that goes to, say, the top of the world’s tallest building, I can give a fairly satisfying and comprehensive answer. If, on the other hand, we are just waiting in a short line for a cup of coffee, I tend to say something like, “We help districts solve their biggest challenges,” which, judging by the reaction I often get, is not nearly the level of detail people are looking to hear.